Alexander Armstrong knew his family was “posh”. 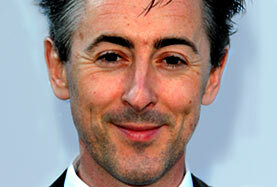 However, he had no idea how prestigious his roots really are, until he started his very own Who Do You Think You Are? quest. Alexander’s mother comes from the wealthy McCausland family. The comedian looked up the name in the directory Burke’s Landed Gentry, and found he was listed as the latest descendant. He traced the line back to Mary Boughton, who was a lady-in-waiting to George III’s queen. You can trace your own aristocratic roots with a number of Burke’s famous directories at our site. Burke’s Peerage and Baronetage lists true noblemen, while Burke’s Commoners is more prestigious than it sounds, detailing wealthy landowners. Shropshire Archives’ records revealed how Mary’s first son, Edward, inherited a title and acres of land after his cousin’s suspicious death. Alexander visited the family home, Downton Hall, to learn more. Although Edward wasn’t implicated in the murder, he did turn out to be a scoundrel. His will showed he prevented his brother – Alexander’s 5x great-grandfather – from becoming a lord by virtually disinheriting him. Because of the high value of its contents, Edward Boughton’s will would have been proved at the Prerogative Court of Canterbury. We have various indexes for the Court covering different periods, to help you trace your ancestors’ records. For later wills, the best resource is our new National Probate Calendar. Other forebears fared better. 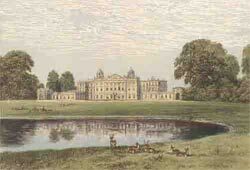 A newspaper article listed Mary as the great-granddaughter of Henry Somerset, the first Duke of Beaufort, who lived at the famous Badminton House. 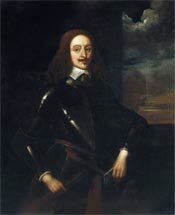 Henry’s father was Edward Somerset, who lived at Raglan Castle and bankrolled King Charles I during the 17th-century Civil War. Alexander delved deeper into Edward’s life, and found an unfortunate story. His 10x great-grandfather suffered an embarrassing military defeat, before attempting a secret mission to Ireland – and getting caught. The King was forced to disown him, and he was arrested for treason. Thankfully, Edward’s later life was happier, as he turned to invention. A trip to the Science Museum revealed he created a revolutionary steam engine, 200 years before the Industrial Revolution. Victorian scientists even exhumed his body to try to learn more. Finally, Alexander visited the College of Arms to see how far back he could trace his lineage. He was in for a shock. The Heralds’ records showed Edward Somerset was a direct descendant of King Edward III. Taking that line further back, Alexander found his 27x great-grandfather was none other than William the Conqueror! Heralds visited families to record their entitlement to coats of arms. Their records include detailed pedigrees, so they can reveal huge chunks of your family tree. You’ll find several heraldry collections in our Stories, Memories & Histories section. Follow the Strictly Come Dancing host as he travels to America in search of hard evidence about his bigamist great-grandfather. Discover the shocking truth about the film star's paternal grandfather, and a relative he never knew existed. Examine the Ballykissangel actress’ connections to an Irish revolutionary icon who died for his cause. Discover whether the celebrity gardener can unearth a lost fortune in his roots. Delve into the TV heart-throb’s Indian roots, as he traces his family through the time of the Raj. Follow the soap star's mission to learn about a mother he hardly knew. Trace the Holby City actor’s journey across Europe and Africa - uncovering a royal connection along the way. Explore the military exploits of the thespian's medal-winning maternal grandfather - with a shocking twist..